View from my parents’ apartment- yup, that is the full moon up there! Bet you’ll never see these in the US – even Mrs. Field’s is making mooncakes for the Mid-Autumn Festival! Very exciting – I saw my book in a local bookstore! 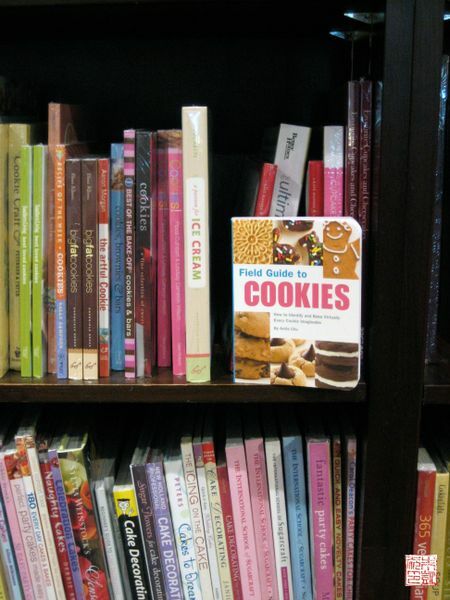 Field Guide to Cookies is international! One place that didn’t seem to have any qualms about my snapping away, and coincidentally one of my favorite finds, was Zoë, a chic, light-filled little cafe filled with perfectly presented pastries. 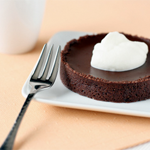 The offerings are unbashedly European in flavor and styling: precisely layered chocolate mousse cakes, crisp, fruit-topped tartlets, velvety white cheesecakes. I went with a sweet friend I’d met through this blog, a HK resident and fellow dessert fanatic. When I expressed concern that she hadn’t had time to eat lunch before meeting at Zoë, she reassured me, “I can eat dessert for lunch anyday.” That’s my kind of girl! 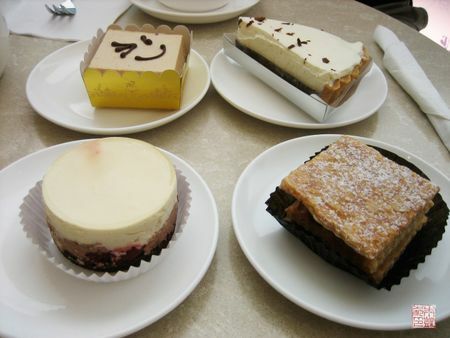 Between the two of us, we devoured four pastries with lychee tea – a very model of Hong Kong tea-time. Clockwise from top left: Zoë’s signature Zoë cake, a cute little square of hazelnut mousse on a crunchy cookie base; a slice of banana cream “pie”, the 1459, Zoë’s version of millefeuille, with satisfyingly flaky puff pastry layers sandwiching pasty cream, and cherry-chocolate mousse cake, which surprised me the most since most Hong Kongers I’ve met don’t seem to be very fond of alcohol-soaked cherries. There’s about twelve different choices in there – in all the SF Beard Papa stores I’ve been to, there’s typically 3 varieties!! And you can’t really make out the labels, but they’ve got varieties like strawberry cream, and mint chocolate, and chestnut, and even summer peach; “seasonal specials” are very big in Hong Kong, to draw customers back into stores. I love it when my mom comes to visit me in the US and she says things like, “Why do the bakeries have the same stuff as the last time I came? Don’t they come up with anything new?” Well yes, but certainly not at the pace that Hong Kong does. 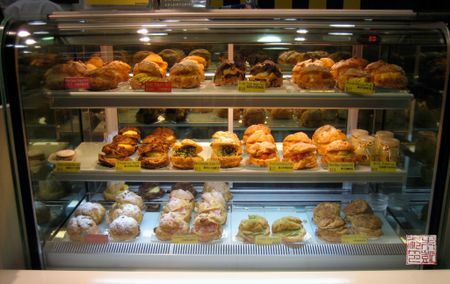 Bakeries are also so ubiquitous in Hong Kong and generally the quality ranges from acceptable to quite good. Maxim’s and St-Honoré, two of the biggest bakery chains in Hong Kong, seem to have outposts at just about every subway stop and street, kind of like Starbucks. But imagine if Starbucks carried freshly baked breads and delicate, fancy-patisserie-like cakes, and they were only a couple dollars each? Makes it really easy to grab dessert on the way home from work – so posher places like Zoë do have to work a little harder to justify their higher prices. ll child’s head. I’d like to advise the good residents of Hong Kong to take a look at food blogs out there to see desserts the rest of us are really eating! It is true, though, that Zoë’s desserts are very light, although by no means lacking in flavor. The Zoe hazelnut mousse was positively cloudlike, very, very delicate, and very refreshing: no heaviness or gumminess at all, and very nice against a crisp chocolate base. Similarly for the cherry-chocolate cake, which looked like a version of black forest cake, but a pared-down, minimalist version – a perfectly edited bite. My favorite was the banana cream pie, which was a revelation. I have to admit I’m not a big banana fan (apologies to Tartelette, I realize she’s made a similar confession not long ago!) and I always shied away from banana cream pie, because, well, it had bananas, and because it just seemed like a big pile of cream and goo. 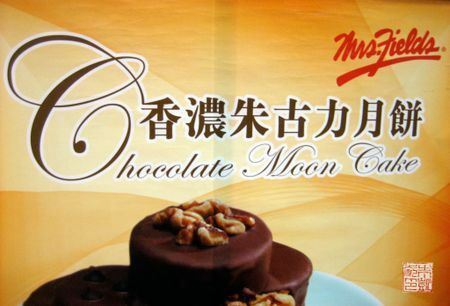 So I was curious to see how Hong Kong had adapted this very American dessert. It’s actually more of a tart than a pie: you can see the neat edge of the tart shell in the photo, which definitely gives it a sophisticated French flair. Then, a layer of chocolate ganache on the bottom, followed by a very thin layer of bananas – I couldn’t even tell on first bite if there were any banana slices, but there were. I was trying to figure why I could taste so much banana flavor, and I realized that the topping was also flavored with banana – quite clever! Instead of the typical pastry cream filling followed by whipped cream topping, I think they turned it into one banana-infused cream layer, which is much lighter and more to local tastes. I certainly liked it; I preferred the way the bananas were integrated into the cream so I could taste it without having to deal with the thick texture of the fruit. I loved how it captured the essence of the dessert in a sleek and streamlined form. 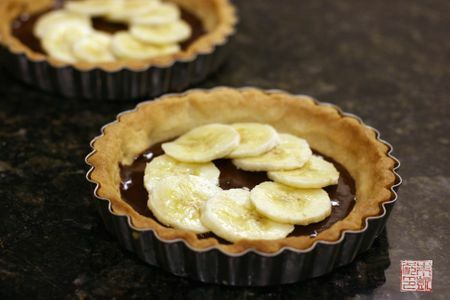 So, Zoë, I promise I’ll buy more banana cream tarts from you next time I visit, but while I’m stuck back here in the US, I’m just going to have to try and make my own version. I’m not sure it’s an exact duplicate, but it has a wonderfully crumbly pate sablee crust spread with a dark chocolate ganache. On top, a sprinkling of banana slices, and then a wonderfully fragrant pastry cream laced with bananas, and lightened with whipped cream to delicate softness. I can also add it was such joy experimenting in a new big kitchen: the last weekend spent puttering about with tart crusts and pastry cream in my new place was a wonderful memory-making – and hopefully there’ll be more to come. freshly baked tart shells filled with ganache – I know, I hardly ever do in-progress shots, but I had the luxury of all day to put these guys together, so why not! Placing a layer of banana slices in the shells – you can place more depending on your banana preferences. 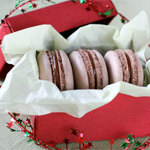 Two last things before I go – I was asked to compile a list of my favorite dessert blogs for Blogs.com, and here it is – take a look and see what my choices are! 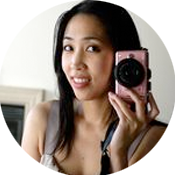 Also, I’m going to be at BlogHer Food 2009 this Saturday – I”m SO excited I got a chance to go. If you’re going to be there, do let me know – I’d love to meet you! For the banana pastry cream: Combine 3/4 cup milk and 3 tablespoons of sugar in a saucepan. Heat just until the milk starts to bubble at the edges. Meanwhille, whisk the remaining sugar and the egg yolks together in a medium bowl. Whisk the cornstarch and remaining milk together in another bowl and add to the egg yolk mixture. When the milk has started to bubble, pour it in a steady stream into the egg yolk mixture, whisking constantly to prevent the eggs from scrambling. at and whisking constantly, until it thickens and comes to a boil. Stir in vanilla and remove from heat. Let pastry cream cool while you cut up the banana. Puree with the lemon juice in a food processor until smooth. Fold the banana puree into the pastry cream. You can now press a piece of plastic wrap to the surface of the cream and place in the refrigerator to chill. 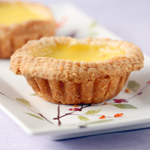 For the tart shells: Combine flour, confectioner’s sugar, and salt in bowl of a food processor and combine. 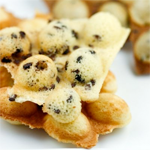 Add in cold butter and process until pea-sized lumps of dough form – do not overprocess into a ball of dough. It should be loose and crumbly. Add in egg yolk and process until dough starts to come together. Turn the dough out of the bowl onto a work surface and lightly press together into a ball – if it’s too loose, you can process a little more, but don’t do too much – you want to work this dough as little as possible to have a light and crumbly texture. 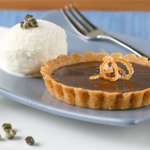 Butter one 9-inch tart pan or six 5-inch tart pans – ones with removable bottoms work best. Carefully press the dough into the pans, working it over the bottom and up the sides. Again, try not to overwork the dough – press gently and work as quickly as possible. Chill shells in freezer for about 15 minutes. 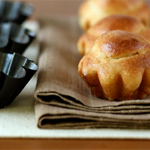 Usually recipes for these tart doughs involve lining the shells with pie weights. If you like doing this or have fears of burning your shells, go ahead. However, I’ve never had issues with just baking the shells as is – I check them halfway through and if the shells are puffing up too much I just press them down with a dough tamper or wooden spoon. Bake shells for 15 minutes, then rotate and bake another 10-18 minutes until they are golden brown and fully baked. Let cool on wire rack before filling. For the ganache: Place chocolate in a medium bowl. Heat cream in saucepan on stove over medium heat until the edges start to bubble. Pour cream over chocolate and let stand for a minute. Stir with a wooden spoon to combine the two into a smooth mixture. 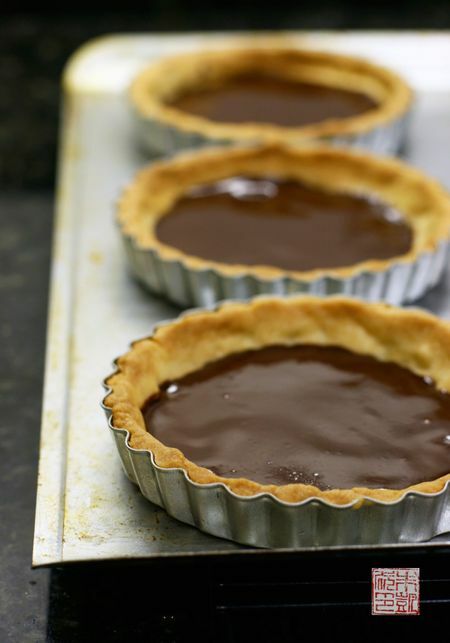 Spread a layer of ganache on the bottom of each tart shell and let cool and set. It doesn’t have to set all the way, but it should be slightly firm to avoid mixing with the pastry cream. Cut the bananas into thin slices, about 1/4″ thick, and spread in a layer over the ganache. Remove the pastry cream from the refrigerator and beat or stir with a spoon to loosen it up. Whip the cream in a stand mixer until soft peaks form. Fold the whipped cream gently into the pastry cream until fully incorporated. 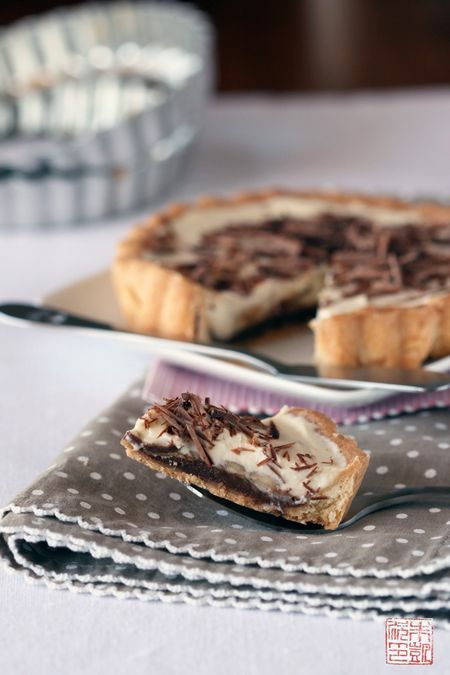 Spread the banana pastry cream into the shells and smooth the surfaces with an offset spatula. Chill in the refrigerator for about 20 minutes to set before serving. You can decorate the top with chocolate curls if you like. 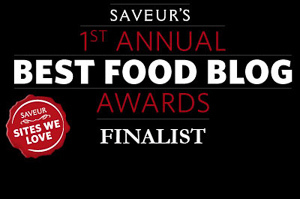 Looking forward to meeting you at BlogHerFood this weekend! Welcome back!! 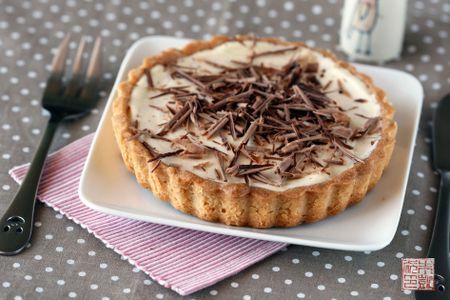 I’ll try this recipe very soon, as banana cream pie is one of my family’s favorites. I even developed my own recipe for them, but I’m sure they won’t mind a new version. I love the “in process” photos. That looks delicious! Congrats on going international with your book. P.S. The HK Starbucks is actually managed by Maxim’s, so they offer a greater variety of cakes and pastries than the US Starbucks. looks yummy! i was born in hk but left in 1991 and had only been back once in 1998. but will be going for a visit next year and i definitely miss the food!! i have to say though that typically hk style cakes (for birthday, wedding etc) taste quite a bit different to western style cake, and are definitely decorated differently! can’t wait to hear more about the trip! Wow, what a great view from your parents’ apartment!!! I was in Hongkong in 1994 – during my world-around-trip. And I love this busy city. 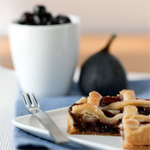 I’m sure: one day I will return… And by the way: your tart looks wonderful, delicious, great!!! Thanks for the recipe and best wishes from Germany! Welcome back from that wonderful trip!!!! Looks delicious! 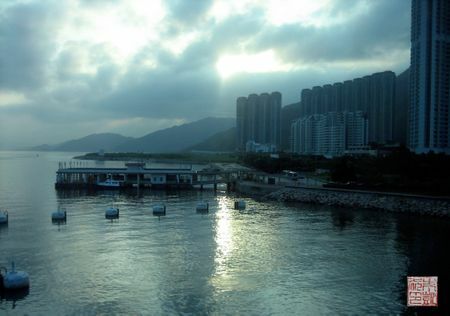 Your photos of HK are beautiful! Wow! I love those pictures of colorful mouth-watery desserts! I feel like going to some restaurant and ordering them. I really appreciate all the recipes that have been provided on this fine post. 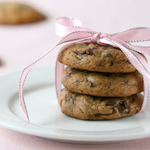 Maybe I can bribe my sister to bake one of these beauties. Awesome banana cream pie. Great photography. I can eat that any time. You know, usually I am a bit intimidated by all the steps in the recipes you post – while I love seeing what the steps are, I figure those are best left to professionals like you – but this looks delicious and attainable! My dad loves bananas and chocolate so I’ll try this for a special treat for him. Thank you for sharing. Hey! I was just browsing food blogs and I came across yours. The banana cream pie looks to die for. But what I’m most curious to know (because I’m from HK as well but I just moved this year) is where the Zoe store is? 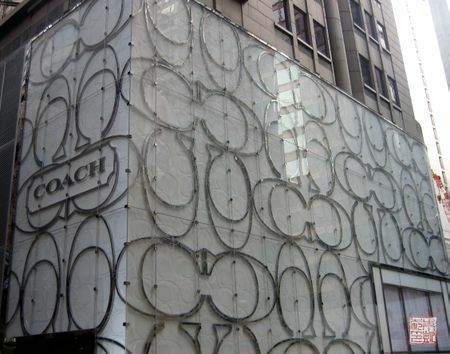 I’ve never heard anyone talk about it and have never visited it even though I’ve in HK for sixteen years. 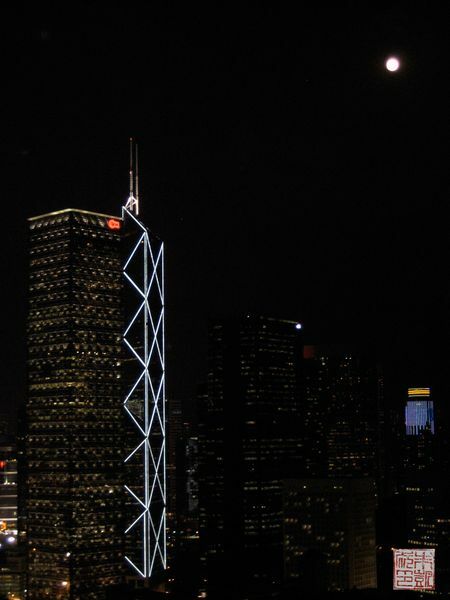 If you could tell me I’d visit it the next time I return to HK! Oh these look delicious (I have a thing for bananas) but I can’t say I’ve ever really liked banana cream pie because it was always a bit heavy and I thought the banana should be integrated better in there. I will definitely be trying this version as it sounds like exactly the right variation. And congrats on your book being worldwide, that’s very exciting! How fun to find your book in HK! 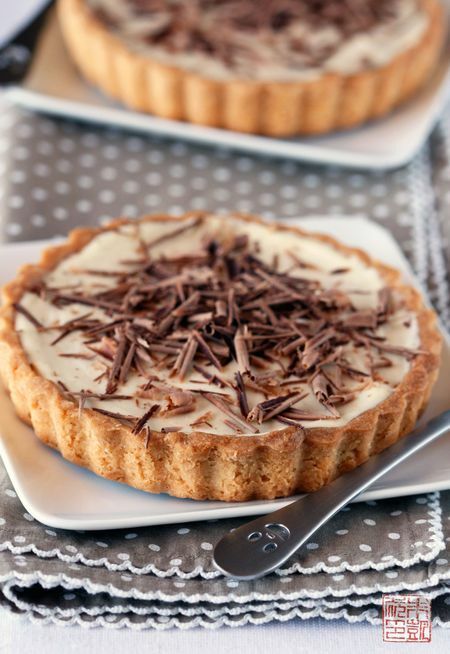 What a delish looking banana tart. I haven’t been to HK for a couple of years, but I have to say the food is definitely a good reason to return. I enjoy your blog very much, it’s much more up-beat and passionate than my franchise blog which often deals with food, too. The desserts you showcase look amazing and I’m not even a “dessert person”. WOW! You went again! It’s been sooooo long since I’ve been to Hong Kong. I wonder how it’s changed. 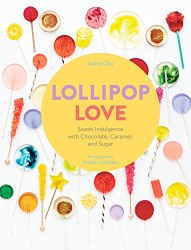 I love your “chop” – I got one made there and never used it..
How great to see your book there Anita!! I have done something like this with bananas and mangoes together. Tastes lovely. Must have felt good to see your own book in the shop:). mmm! reading your blog after a long time away. love the pics of HK and the desserts. and it’s so cool/smart to use the chop for your pics. Your photos are beautiful. I love it when people are unafraid to cook with bananas (apart from banana bread.) I’ve found a lot of people are scared of banana desserts – don’t know why. Are those smiley faces on your forks?! Where can I get those? I love them! your photos are so beautiful! I especially love the first two of hong kong. 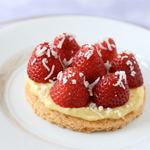 and that tart looks to die for – I must try making one sometime! I chanced upon your blog. This looks sooo tempting. I’ll probably try this out this weekend. 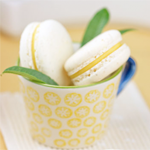 I love that spoon handle – it’s sooo cute! A smiley on a spoon..I could look like that every time I see deserts like this. I think I meant desSerts!